Red Bull, Patagonia and Mercy Corps are blazing a trail of brand content that immerses their customers and stakeholders in a world of relevance, information and calls to action.Content marketing is fashionable, but few brands or organizations have submerged themselves into the content they publish as deeply as Red Bull. Over-the-top action and thrills define the Red Bull content marketing strategy and its brand image. The energy drink maker wants to convey an energetic brand profile and its content underscores it. And Red Bull wants to hold the attention of its customer base. Much is made about Red Bull becoming a publishing house that happens to make an energy drink. But Red Bull's channels and sponsorships are just vehicles for its core brand promise wrapped up in the content it publishes. In the marketing world, this is called integration. Product, theme, message, channels and content are seamless. You drink Red Bull because you want to be full of energy and inspired to try new and daring things in your life. Red Bull is the coal, but brand content is the engine. 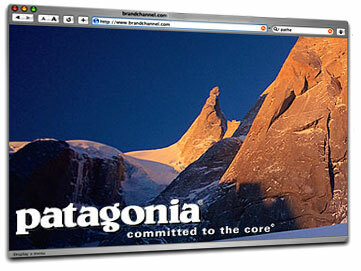 With less fanfare, Patagonia achieves a similar level of seamless integration of product, theme, message, channel and content. The Ventura, California company outfits climbers and surfers who pursue "activities that entail risk, require soul and invite reflection," always juxtaposing its products with awe-inspiring photography from the slopes to the surf. Patagonia, named after a region in South America with some of the world's most dramatic landscapes, has become synonymous with environmental activism. It donates a percentage of its sales to environmental activities such as opposing oil drilling in the Arctic National Wildlife Refuge. Customers routinely are asked by sales clerks about making donations to environmental causes. The company employs an in-house activist who offers training and counsel to local groups with environmental or conservation objectives. The company blog carries content that appeals to its clientele, such as a recent post titled "Dirtbag Diaries: The Sufferthon" that describes how adventurous people can find adventure highs in their own backyards with micro-adventures. In the nonprofit world, Mercy Corps follows a similar formula. Its website resembles what you would find on an online news site with strong photography, engaging stories and startling facts about people facing daunting life challenges. Many of its features huddle under the title of "What's new in the Mercy Corps world." Red Bull, Patagonia and Mercy Corps are extreme examples of what could be called brand content. Content is branded when it carries the positioning of the product or service of its publisher. It elevates to brand content when it assumes the role of sustaining interest in the brand across a panorama of platforms. Chris Perry, writing in Forbes, says the challenge for marketers and public affairs professionals is creating an editorial agenda relevant to customers of your brand or organization. "Creating relevance via content strategy requires a clear, compelling and sustainable narrative," Perry writes. People want information, entertainment or a momentary diversion, which brand content can provide as a yellow brick road to asking for a click, subscription or purchase. "People want relationships with brands," Perry says, "but they expect the experience will be meaningful and engaging before they act." Brand content immerses customers in the world of a brand or organization, making them feel a part of that world, not just visitors to a strange planet. Patagonia's tagline, "Committed to the core," is emblematic of a brand content strategy that stretches from the manufacturing line to the front line of environmental activism.